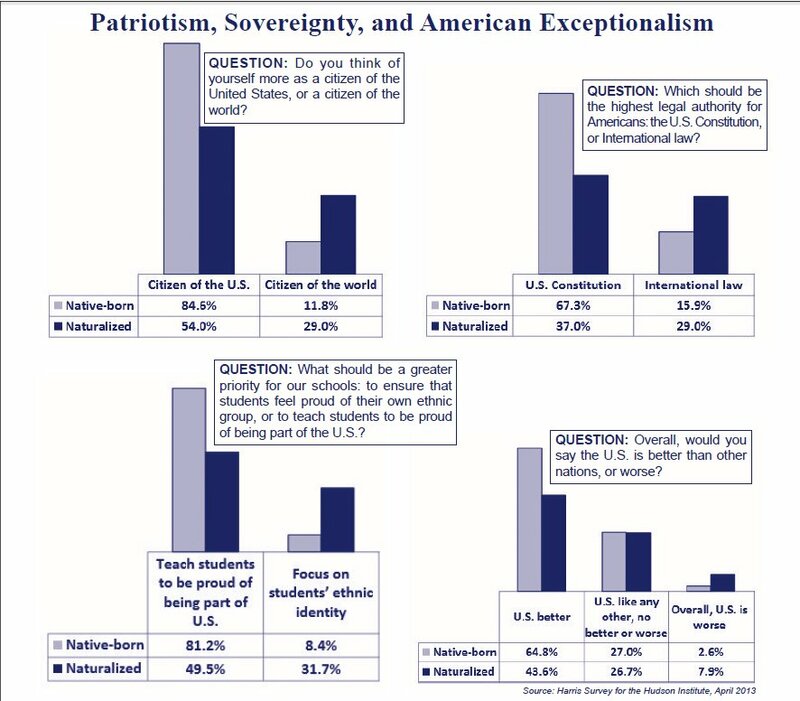 Most Americans believe that the United States of America is an exceptional country. The “borders test” proves that people are coming to America, not fleeing from America to exit to other countries. People come to America because it is a remarkable oasis of freedom, prosperity, and opportunity for foreigners no matter what socioeconomic rank they were assigned in their native country. Accordingly, Republicans and conservatives believe in limited government, constitutional separation of powers, balanced budgets, and a minimum of government supervision and interference in our daily lives. Other countries have constitutions that list what the government should do for individuals, whereas the U.S. Constitution recites what government cannot do to us. This approach has stood the test of time: our Constitution is the longest-lasting constitution in history. Republicans recognize this as the major factor in our economic successes. We have welcomed millions of immigrants who came here believing their lives will be better. Most of them came from countries where the only government they knew was one that made all decisions about economic and social policy, and even about individual rights. The current level of legal immigration to America adds thousands of people every day whose views and experience are contrary to the conservative agenda of limited government. The proposed amnesty (such as the Gang of Eight’s S.744) would add millions more. The influx of these new voters will reduce or eliminate Republicans’ ability to offer an alternative to big government, increased government spending, higher taxes, and favorite liberal policies such as Obamacare and gun control. New voters will lean on our hard-pressed health care system and overcrowded public schools to demand more government spending. Amnesty advocates point to the assimilation of large numbers of immigrants in the early years of the 20th century. But that was followed by a national pause and slowdown of immigration from the 1920s to the 1960s, which allowed newcomers to assimilate, learn our language, and adapt to our unique system of government. Furthermore, most of those earlier immigrants arrived eager to become Americans. Many became almost 200% Americans, typified by Irving Berlin’s “God Bless America” and by those who dominated Hollywood in those years. Still, it took seven decades and Ronald Reagan before many of those immigrants voted Republican. Under current law, 1.1 million new legal immigrants come in every year. By itself, this will create 5 million new potential voters by 2024 and 8.4 million by 2028. CBO projections indicate total increases under the Senate bill of 9.7 million by 2024 and 17.9 million by 2028. Immigration has created a greatly expanded leftist Democratic electorate. In 2016 there will be 13 million Hispanic voters (up from 11.2 in 2012). An enormous body of survey research shows that large majorities of recent immigrants, who are mostly Hispanic and Asian, hold liberal views on most policy issues, and therefore vote Democratic two-to-one. Their motivation is not our immigration policy; it is economic issues. 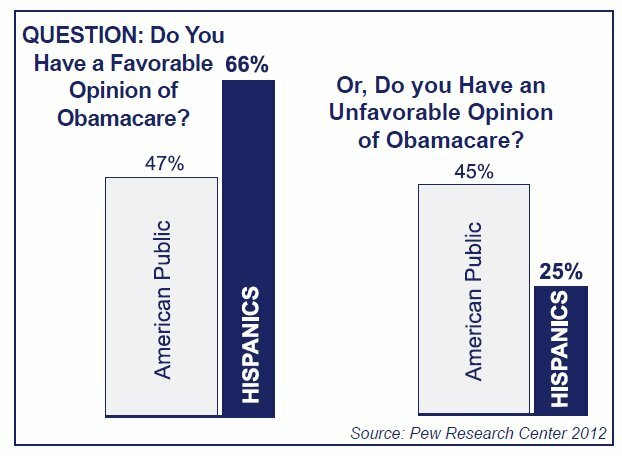 The Pew Research Center reported in 2011 that, of all groups surveyed, Hispanics have the most negative view of capitalism in America — 55%. see graphic This is higher than the share among self-identified liberal Democrats, even higher than the supporters of Occupy Wall Street. The Pew Research Center found that 68% of Muslims prefer a bigger government providing more services, and only 21% want a smaller government. see graphic Pew also found that American Muslims are not particularly conservative even on social issues. 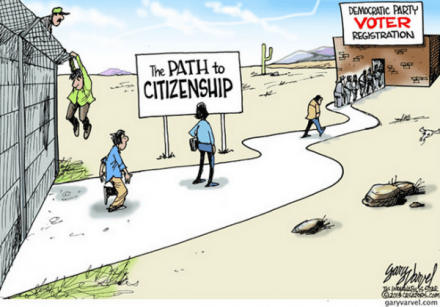 There is no evidence that amnesty or inviting more immigration will produce Republican votes and abundant evidence that it will produce more Democratic votes. After Ronald Reagan signed the 1986 amnesty, George H.W. Bush received only 30% of the Latino vote in 1988, seven percentage points less than Reagan in 1984. The current level of immigration, even without S. 744, will add nearly 15 million new potential voters by 2036, a large share of whom will favor the Left. To allow this to happen will make Republicans a permanent minority party. It will alienate the Republican base, at least four million of whom stayed home in 2012. Defeating amnesty and the additional immigration that all amnesty bills include would also be good policy for the benefit of the 60 milllion American citizens of working age who are not working. A reduction in immigration would take pressure off our already overloaded health care systems and schools, and it would facilitate the assimilation of immigrants and their children who are already here. But why are some prominent Republicans pushing amnesty? The New York Times, a big supporter of amnesty, gleefully reported on October 26 the front-page news that Republican big donors and big business leaders are gearing up for a “lobbying blitz,” backed up by money threats, to get Congress to pass amnesty. Big business wants amnesty in order to get more cheap labor, which will keep wages forever low, and that is a gross betrayal of the legal immigrants who hope to rise into the middle class and achieve the American dream. The big donors are the ones who poured four hundred million dollars into the campaigns of losing establishment-backed Republican candidates in 2012. They would rather elect Democrats than conservative, social-issue, Tea Party-type, grassroots Republicans who don’t take orders from the establishment.